President Donald J. Trump recently sat down for a rare 60 Minutes interview set to air tonight. In previews, host Lesley Stahl attempted to grill the commander-in-chief over what some say is a chaotic presidency replete with staff turnover but President Trump describes this as "fake news." 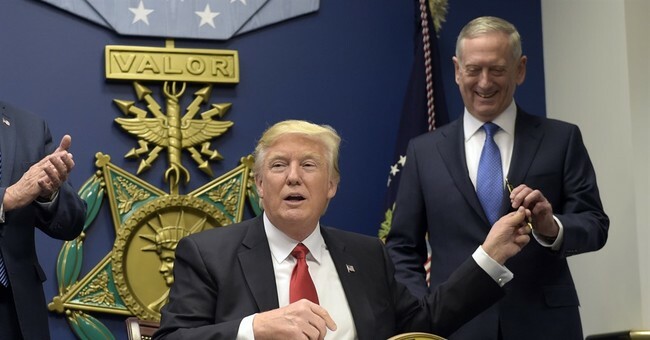 Stahl then asked specifically about Secretary of Defense James Mattis at which point President Trump says that the General is "sort of a Democrat and that he may leave, but that would not necessarily indicate any problems in their relationship. Stahl pressed the president if he was concerned with how many personnel changes his presidency has had its first two years in office. In response, President Trump slammed speculation of trouble was "so false." He also added, "I'm changing things around, and I'm entitled to. I have people now on standby that will be phenomenal. They'll come into the administration. They'll be phenomenal." When asked about Gen. Mattis, the president dismissed any concerns as well. "I think he's sort of a Democrat if you want to know the truth," Trump said. "But General Mattis is a good guy. We get along very well. He may leave. I mean, at some point, everybody leaves. Everybody. People leave. That's Washington," President Trump said. The President also said that "Yeah, other people will go, sure."